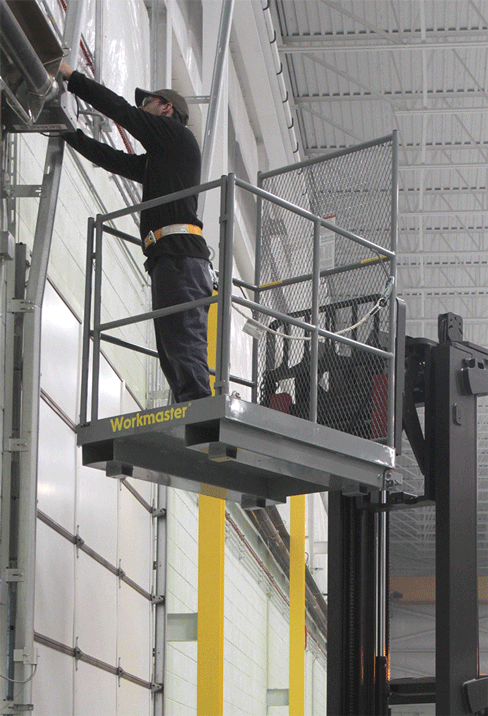 The WORKMASTER® Overhead Work Platform boosts the versatility of your forklift trucks. Quick access to overhead maintenance jobs, construction and repairs, stock selection or just simple light bulb replacement. 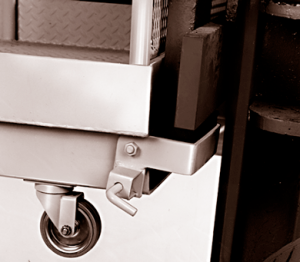 Meet applicable OSHA and ANSI standards. 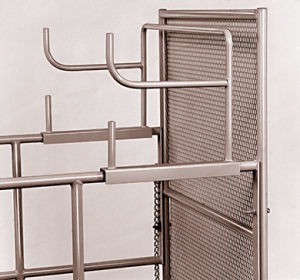 WORKMASTER® offers a variety of options to make the job even easier! 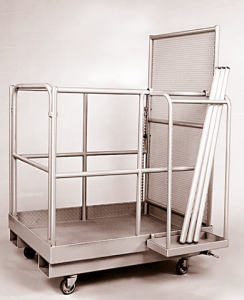 Attaches to the side of the platform and holds a box of 4′ or 8′ fluorescent tubes. Conserves valuable platform space for tools or supply storage. 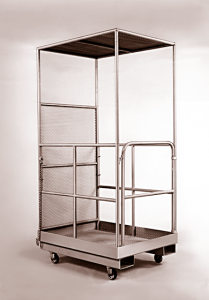 Attachable overhead guard can be used to help protect workers from falling objects. The overall height of the guard is 80″ from the platform deck to the top of the guard. 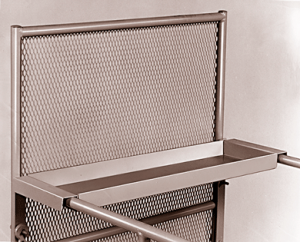 The horizontal caddy slides onto the side rails of the platform and stores 4′ and 8′ fluorescent tubes. Dual level tray keeps old and new tubes separated. These easy rolling 4″ casters bolt directly to the bottom of tine sleeves. This handy work shelf secures to the side rails of the platform. It keeps tools within reach without restricting platform space. MODEL NO. PLATFORM SIZE TINE SLEEVE SPACING WEIGHT LBS.